Those with a penchant for spots and polkadots better watch out for this one! Just in from Built NY is this divine market tote. Take it to the pool, beach, on a picnic or as a handy car store-all – it’s built to handle all the things you need in a busy family life. Use it at the supermarket to save on plastic bags and it’ll be the prettiest one in the queue. 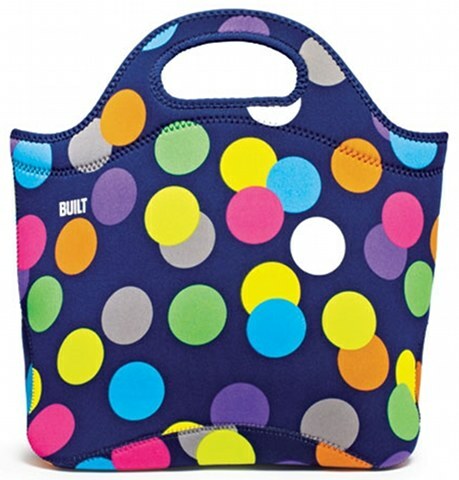 It can do double duty as a nappy bag or storing the kids’ bike helmets in the car. Aside from the groovy patterns and solid construction, the stretchiness of the bag is one of our favourite features of the Built NY products which we’ve featured many times. It means you can shove just about anything inside it and it will accommodate your wishes! Haggus and Stookles have just taken delivery of the Scatter Dot version which is flying out the door at $79.95 plus post. 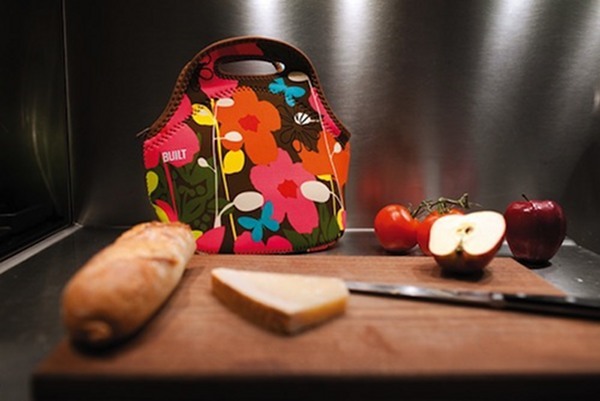 We also love the Shadow Flower Gourmet Getaway Tote for $54.95.